TUCSON, Ariz. — Tenth-ranked Arizona walked off with a pair of run-rule victories on day one of the Wildcat Invitational. Lauren Young’s fifth-inning solo homer ended Arizona’s 8-0 victory over Longwood before Courtney Rodriguez’s fifth-inning bases-loaded single defeated Valparaiso 9-1. Arizona has now run-ruled five straight opponents and six of the last seven. In the seven game stretch, Arizona has outscored its opponents 71-4 and its pitchers have allowed a total of 17 hits; the Wildcats’ offense had 20 hits in Friday’s doubleheader alone. For the season, the Wildcats have outscored opponents 149-11. Twelve of Arizona’s 18 games have been cut short due to the eight-run rule. Furthermore, 15 of the Wildcats’ 17 wins have been by five or more runs. The Wildcats’ 17-1 start is their best since 2010. 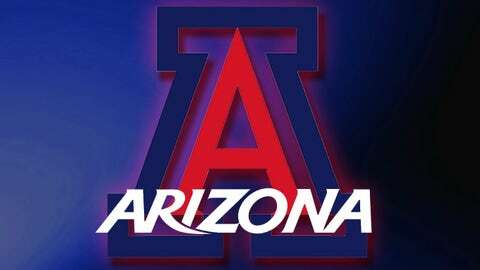 Arizona pitchers hurled their third straight one-hitter as Arizona cruised to an 8-0, five-inning victory over Longwood in the Cats’ first game of the Wildcat Invitational. Starter Estela PiÃ±on (3-1) allowed the lone Longwood hit in four innings of work. The senior struck out four and walked two in the outing. Nancy Bowling struck out the side in her lone inning. Chelsea Goodacre homered and drove in four runs while going 2-for-3 at the plate. Young’s walk-off homer in the fifth was one of three RBI for the sophomore. Hallie Wilson went 2-for-2 with a walk and a pair of runs scored. Kelsey Rodriguez had two doubles and an RBI in the contest. Arizona got off to a hot start when it put four runs on the board in the bottom of the first. With two on, Goodacre singled to left to get Arizona on the board, followed by a Kelsey Rodriguez RBI double. Young would follow with a two-run single to put Arizona up 4-0. The Cats put two on in the second with two out before Goodacre bombed a three-run homer to center to put the Cats ahead by seven. Arizona would load the bases with one out in the third inning before Courtney Rodriguez lined into a double play to end the threat. After a silent fourth inning, Young led off the fifth with a homer to center field to end the game. Kellie Fox homered twice, leading Arizona to a 9-1 victory over Valparaiso in five innings in the nightcap. Fox extended her Pac-12 lead in home runs with the pair of round-trippers. Her two homers and three RBI give her nine and 29, respectively, the league’s top marks in both categories. The Wildcats plated nine runs on 10 hits in the game; Courtney Rodriguez, Fox, Kelsey Rodriguez and Katiyana Mauga had two hits each. Starter Michelle Floyd (4-0) gave up the first run of her Arizona career on six hits in three innings. Floyd walked two and struck out one. Shelby Babcock, who entered to get out of a two-on, no-one-out jam in the fourth, did not allow a baserunner in two innings of work. Babcock struck out two of the six batters she faced. Valparaiso scored just the sixth run surrendered by Arizona this season at home in the top of the first inning. Samantha Stewart’s first-inning RBI double marked the first time that the Wildcats trailed all year at Hillenbrand Stadium. The lead did not last long though, as Fox’s two-run homer three batters into the bottom of the first gave the Cats a lead they would not relinquish. Fox would homer again with one out in the third inning to give Arizona a 3-1 lead. In the fourth, Mo Mercado and Mauga led off the inning with back-to-back singles and moved to second and third on Cynthia Pelayo’s sacrifice bunts. Wilson grounded out to score a run before Courtney Rodriguez singled up the middle to plate another and give Arizona a 6-0 lead. In the fifth, Arizona plated four runs without recording an out. A Kelsey Rodriguez double, followed by a trio of walks, the final on which brought in a run, made it 6-1 Wildcats. Pelayo singled in a run to make it 7-1 before Wilson’s RBI walk put Arizona ahead 8-1. Courtney Rodriguez singled through the right side to score pinch-runner Erika Tapia to end the game.